2 3/8" heavy-gauge galvanized steel Inground Tetherball System is affordable yet durable in outdoor conditions. Post is 12' tall, with 2' in ground for maximum stability. For permanent installation. 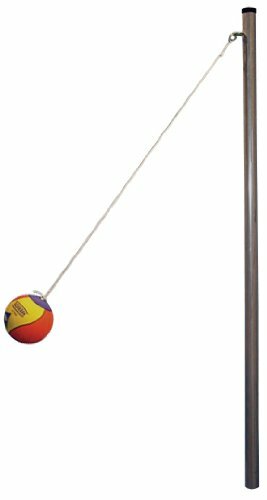 Standard-size tetherball and heavy nylon rope for ball attachment are included. Each system includes one post with ball and nylon rope. 1 Year Warranty. Rope length is 7 ft. If you have any questions about this product by Gared, contact us by completing and submitting the form below. If you are looking for a specif part number, please include it with your message.